I’m in the process of creating a game in which the player throws knifes, scissors and other kitchen utensils. 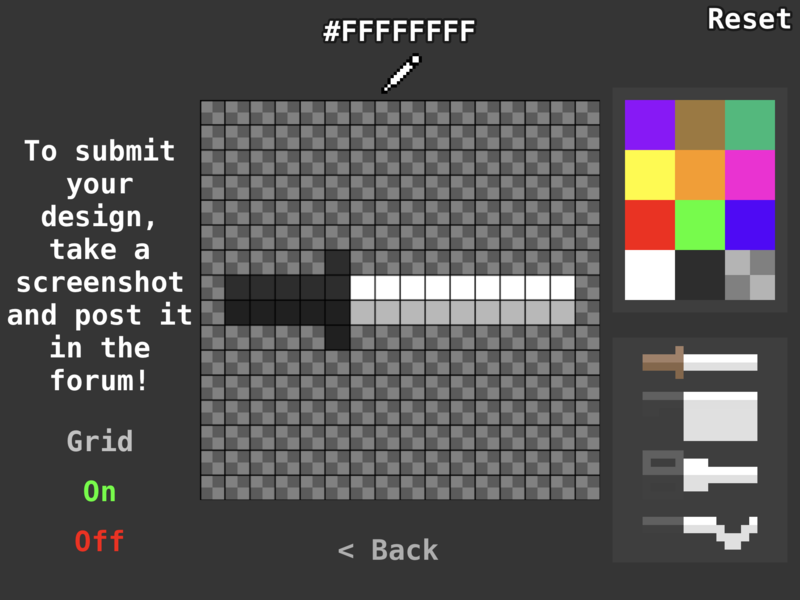 In the game I have created a pixel art programme where users can design knifes and then they can screenshot and put it on the forum and I will put them in the game. I thought before the game releases I would put a post up to see if anyone wants to create any for the game (16x16 pixels). If you have created one leave it below. 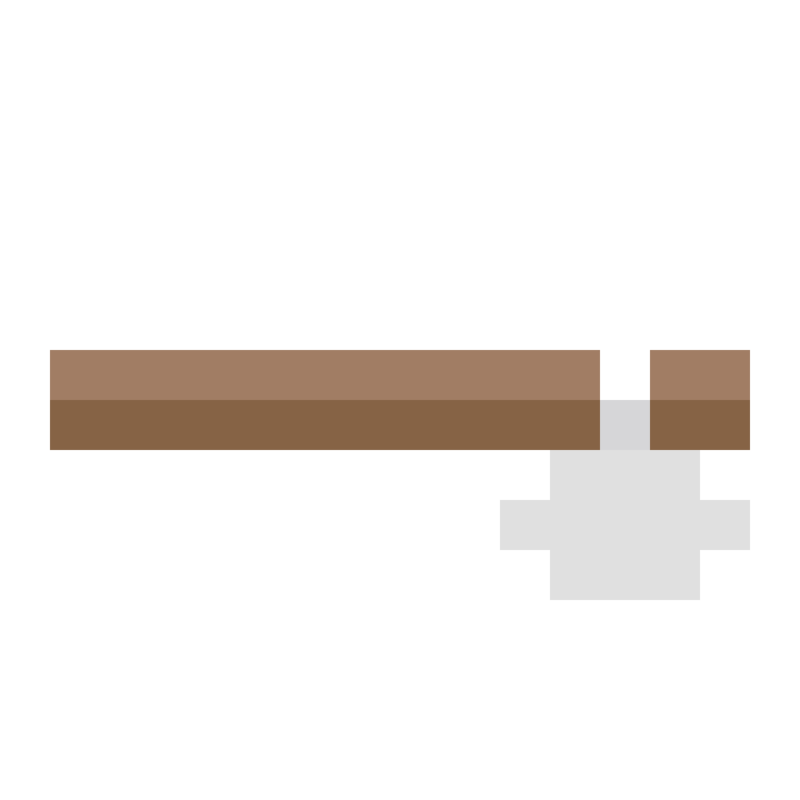 Below is an image of the knife in the pixel art editor I created! Looks pretty! But maybe...too simple? More details would make this look much better.